No longer able to afford photoshop. I'm a screenprinter looking to do a zip a tone (screentone) effect. What are my options? The only info I find regarding is from 2011 ish. Cheers in advance. 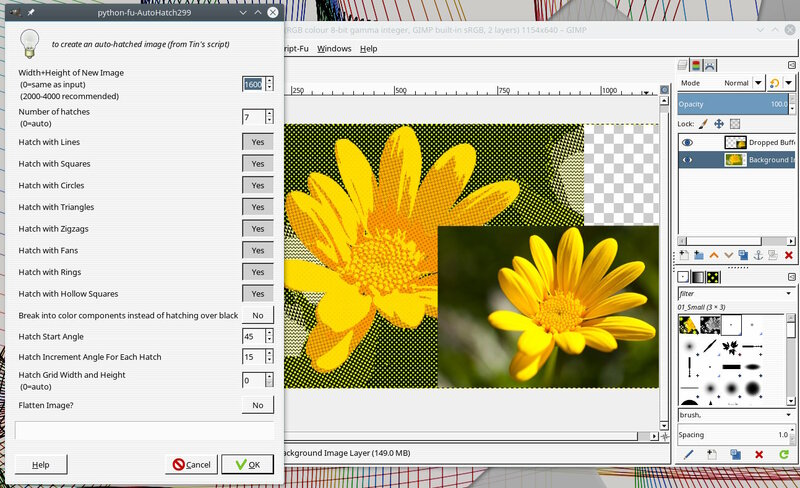 Apart manually creating a classic screentone (as I understand it) defining areas and filling with a pattern. Find it in the menu Filters -> Artistic -> Hatch -> Autohatch Limit the number of "hatches" otherwise very slow. Another possibility, not strictly screentone, it is a halftone. 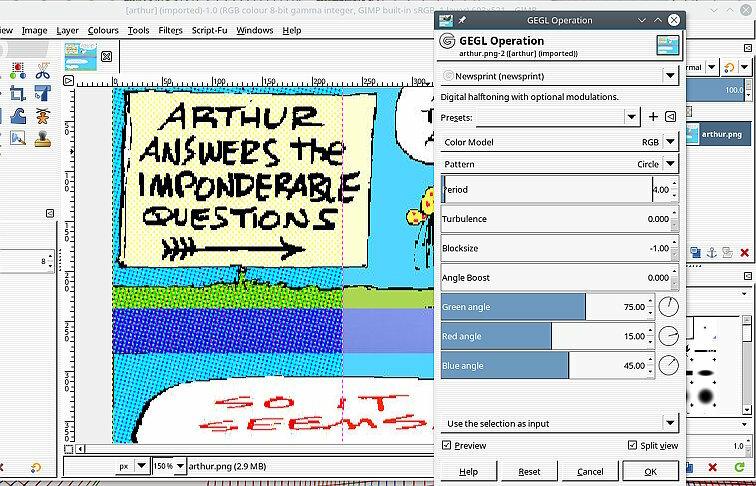 Tools -> GEGL Operation then in the drop down menu Newsprint. With smaller values of 'period' might be useful. All depends on the image, if you can post an example of requirement it helps. 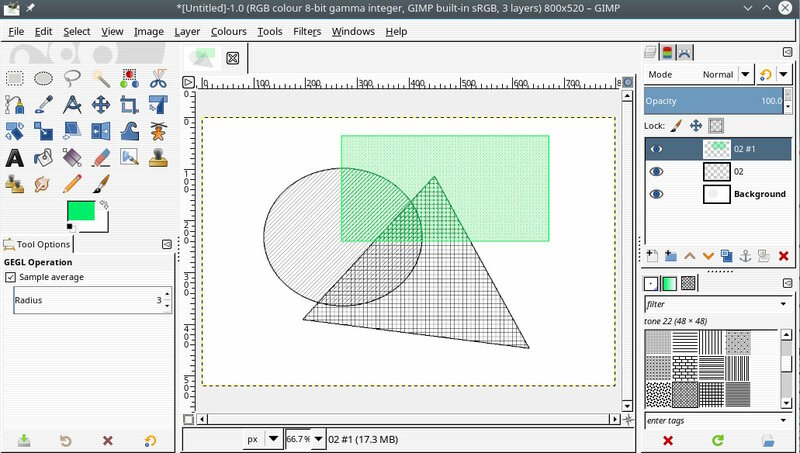 The problem with coming from PS is always expecting Gimp to work the same way. You need to 'unlearn' those old procedures.